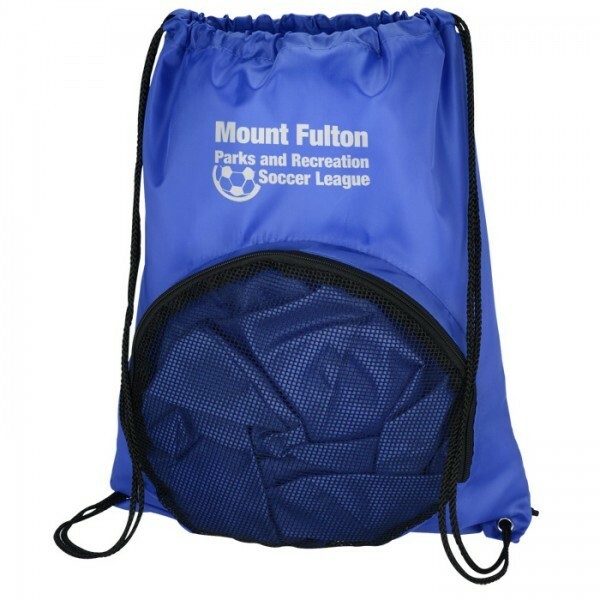 Drawstring sportpack made of 210D nylon material with zippered front pocket for basketballs. 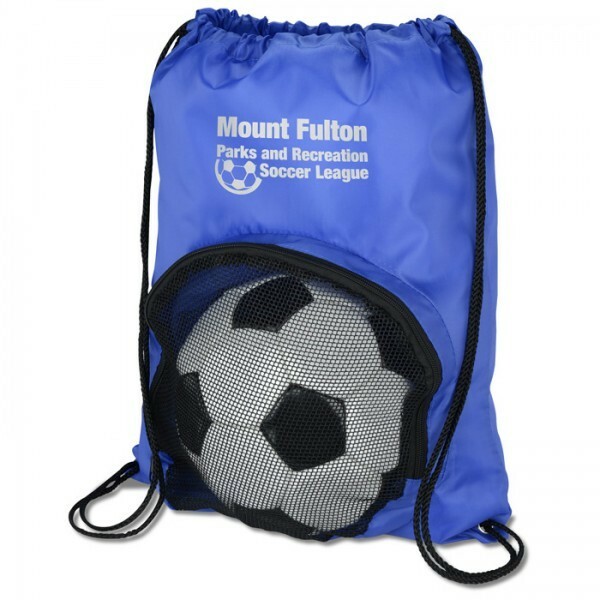 This durable drawstring sportpack is made of 210D nylon material for long-lasting advertising. Double black drawstrings cinch the bag closed at the top and offer over-the-shoulder or backpack carry. Reinforced corners have metal grommets to prevent tearing and provide extra resilience. Keep them organized by keeping all their sports gear in one bag. Generous main compartment is the perfect size for a jersey and sneakers. 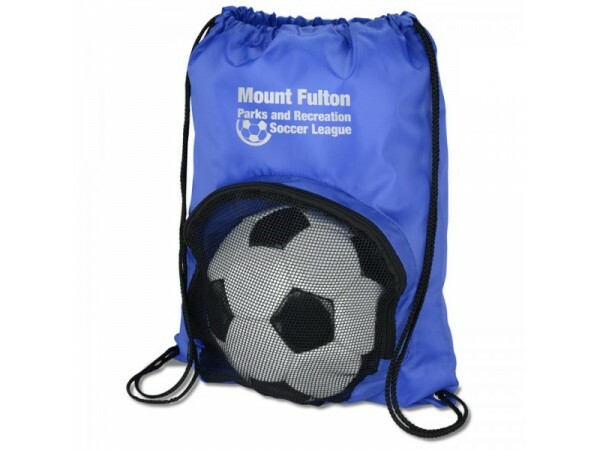 Zippered front pocket is the perfect size for a soccer ball, volleyball, basketball or football. With this bag, they’ll be able to carry their mouth guard, team apparel, sports ball and more! Available in a variety of classic team colors to best match your logo.